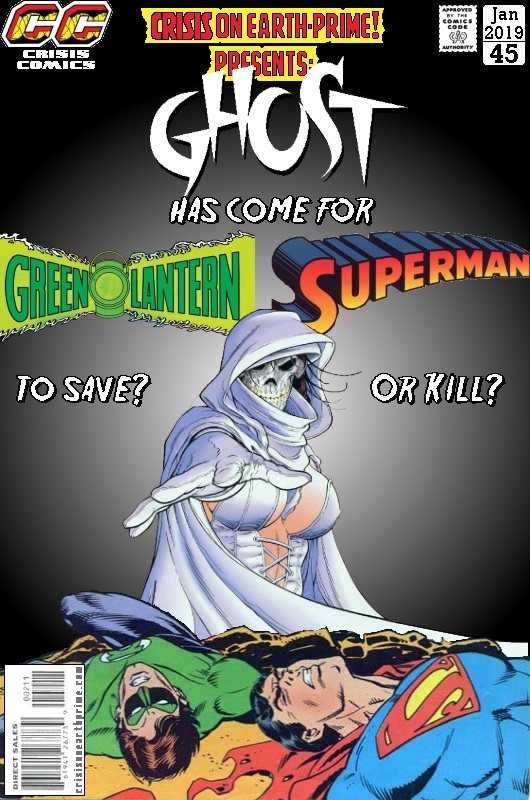 I don’t think Ghost and Dawn have ever teamed up/crossed-over which is a shame considering one’s dead and the other is almost the embodiment of death. We haven’t seen Ghost since the first Mash-Up . . . she’s looked better, I have to say. But then so have Green Lantern and Superman. 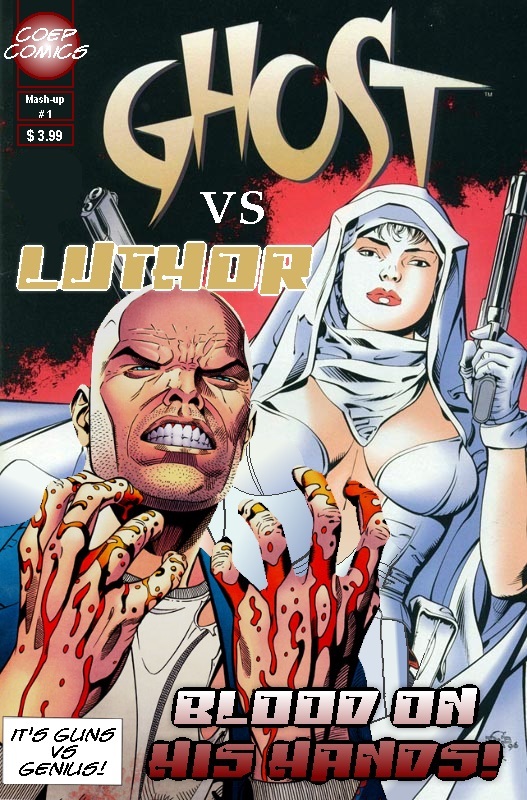 Back on my old blog, I ran a series of related posts on Mondays – there was Monday Covers where I just picked out random, favourite covers; Monday Memes where I picked out covers that shared a theme; Monday Memories when I looked back at random comics from years gone by; and Who Was Who Is Who during which, just after the launch of the New 52, I went through every issue of Who’s Who and tried to predict whether they’d appear in the New 52 or not. I’ve been thinking about doing something else for a Monday post and so, HUGELY influenced by the wonderful Super-Team Family blog which has been doing this for years (and a lot better) on an almost daily basis, I’ve mashed up a few comic covers. I randomly generate two years and two months and then compare the titles I own from both those dates, trying to find some covers that, with a little basic photoshopping, I can mash together.